We’ve been funding social and environmental justice for more than 40 years, and we know that change takes place over the long term. We rely on our long-term supporters as well as our more recent supporters. Thanks to those featured here, and to all of our many donors! If you’d like to offer feedback, or to share your thoughts about why you support Community Shares of Wisconsin (CSW), . “It’s all about individual choice with Community Shares, but I like to think about the group impact.” Since Raven donates to other nonprofits as well, she developed the Raven’s Wings initiative. “You don’t have to be able to give large amounts to make a difference. I know from my work as campaign coordinator at Raven Software that all of those smaller gifts add up. It is best to work as a TEAM! And I find that most people want to give and make a difference, they just need someone to remind them. Shay Santos, Chief Financial Officer at Dane County Credit Union, said giving to CSW has been positive not only for him personally but for all his colleagues who are supporters. “Giving to Community Shares of Wisconsin allows us to collectively make a difference in a very individual way. We like to give as a group and have the opportunity to direct funds to individual nonprofits. We take solace in knowing that CSW member nonprofits receive 100% of our directed gifts as well as in depth collaboration, training, and expert advice from CSW. Amy Kesling discusses CSW’s Cultural Competence Training in 2015. “It’s wonderful what Community Shares does for our entire community. It is an often unappreciated contribution to what makes Madison a great place to live,” said Jon Gramling from Capital City Hues. Deborah Little Cohn, a state employee, gives through her Partners in Giving campaign. Thanks to Kelly Douglas, Development Director at the Center for Patient Partnerships at UW-Madison, for offering a quote. “Community Shares of Wisconsin [CSW] makes us feel smart about our giving. CSW is much more than a funds pass-through to charities. It chooses its member nonprofits carefully, and it fosters a peer-learning and peer-support environment in which members strive to work together when possible to achieve greater results. “CSW and its member groups are very grassroots oriented, focusing on local change. I give through our Annual Campaign at Wisconsin Alumni Association but I’m now thinking about what else I can do to support these groups. “Sometimes I give one gift to CSW so all the members benefit. But sometimes I direct a gift, and when I do I get thank-you notes and some materials from those groups, which I like. I can easily see how my gift is making a difference. I feel more connected to my community. I love to support organizations that share my values. It honestly makes me feel so good to know I could make a small difference in someone’s life. I feel fortunate to live here and I want to support all that makes this place so great! Amy Lord, Senior Events Planner at WECC, described why she gives to CSW. “I’m very fortunate to be in great community and to have access to the many nonprofits in Dane County. At some point we or our families might well use their services. A donation is a small way of giving back. Though I may not be able to give much, I know that every little bit helps. “I also want to know that my dollars are being spent in the best way possible. I might not know which need is most important, but the people at CSW and their member nonprofits do know. I trust them to take our donations and use them in ways that have the most impact. Supporter Becky Klipstine is managing pharmacist at Group Health Cooperative’s (GHC’s) Capitol Clinic in Madison. “I like donating to local versus national organizations—because I know that the money is helping people in our community. GHC not only encourages all of us to give back in some way, it offers Community Shares as a giving option, so I feel good about where the money is going. “I really believe that your member groups need to be recognized for their important work, and I like that CSW makes them easily available to donors,” said Eleanor Cautley. Eleanor is among our longest term donors, since she asked her coworkers at UW-Madison to donate to us in the 1970s—back in CSW’s infancy—and then she continued to donate through workplace giving for years before she retired from the Department of Health Services. Eleanor is also a great example of someone who transitioned from workplace giving to online or direct mail donations. Why continue giving? “I believe in the valuable impact we have when many people give small amounts. 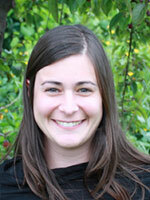 UW-Madison student Molly Morrissey has been interning at CSW. 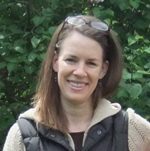 “Community Shares’ Center for Change is an excellent resource for the Madison nonprofit community,” according to Erin Sommerfeld. “I have attended a few training sessions, and have found each one to be a great opportunity to learn from experts, stay up-to-date with current research and trends, and find new ideas to use in my work.” Erin is a Program Manager at the Association of Family and Conciliation Courts. “We started doing a CSW workplace campaign because we wanted more opportunities to connect with pressing issues and the nonprofits working on those issues,” said Carrie Vanderford, Vice President of Lending Services at Forward Community Investments (FCI). “This gives us another chance to make a personal—and a collective—impact. “Community Shares focuses on the type of progressive, transformational change that is part of the fabric of a healthy community. In particular, your groups represent some of the best and most innovative nonprofits addressing some of today’s critical issues. I learned about CSW when we set up our workplace campaign at Whyte Hirschboeck Dudek,” said Denise Boudreau. “When we met with some CSW staff and board members I was impressed with CSW’s level of professionalism and good fund management, the variety of nonprofits involved, and the benefits that CSW offers its member groups—like trainings and 1:1 conferences with financial or management experts, rather than each group trying to find help on its own. “I give to Community Shares because CSW nonprofits emphasize local, grassroots advocacy and education, so my donations lead to real, lasting improvements in our community. I love CSW’s model of cooperation and collaboration amongst its member nonprofits. Instead of competing for limited resources, all the programs share resources and work together to address problems in our community. Pam Heilman, a physician at Group Health Cooperative (GHC-SCW), explained why she gives to CSW. “The variety of CSW’s member nonprofits all work on issues that I really believe in. They are all local organizations, and it’s also really important to me that my giving stays local. Plus it’s convenient to give to so many nonprofits at one time through workplace giving. “If you give a general gift, all the groups benefit. Yet when I direct my gifts, 100% of that gift goes to my selected nonprofits. So the money is being utilized in the way I want it to be. Take a look at this 1-minute video to see what some of our supporters—and representatives of member groups—say about Community Shares. Then join our community! Representative Mark Pocan talks about how CSW helps its member groups, and he explains why it’s important to support us. “I help CSW by being the campaign coordinator for our workplace campaign at Wegner CPAs, but I also give a gift,” said Kellie Oberstar. “Giving allows me to feel like I’m making a difference. And I know that small donations really add up—every little bit helps. “I mostly knew about CSW from the CHIP program at the Willy Street Co-op. When we at Community Pharmacy had a couple meetings last year with CSW to talk about workplace giving, we also met with staff of two of the member nonprofits. “In both cases, I knew the group names but little or nothing about what they actually did. I came away from those meetings so impressed with their work! Susie Earley is a long-time, regular volunteer at Fair Wisconsin Education Fund. Susie, right, is shown with Fair Wisconsin Executive Director Katie Belanger. 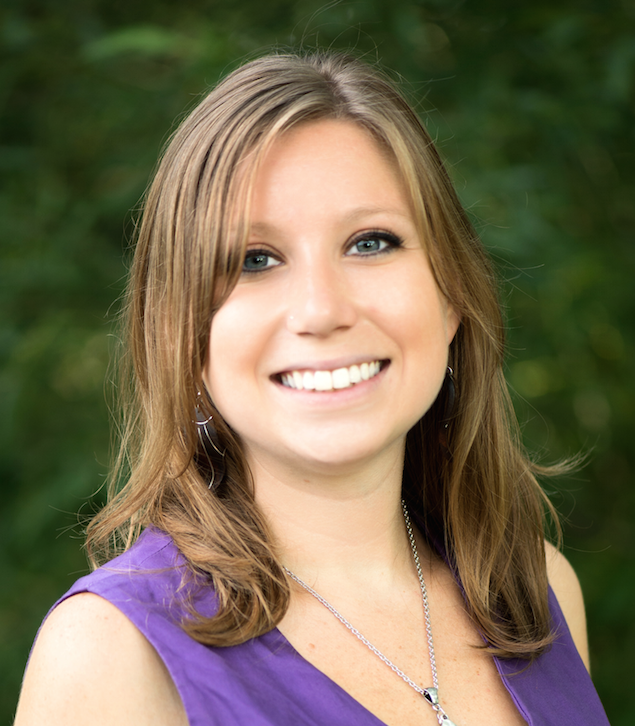 “I chose to become an annual contributor to CSW because it is an umbrella group for so many progressive nonprofits. Giving to CSW means you are giving to the needs of the community in a broad stroke. As a regular volunteer at one of its more than 60 groups, I can testify to what a difference CSW’s support means. How do you want to create change through Community Shares of Wisconsin? Hear from Matt Rothschild about why he supports Community Shares of Wisconsin. Supporter Caryl Terrell, who was a long-time board member, shared what she views as benefits of being a member of Community Shares of Wisconsin. 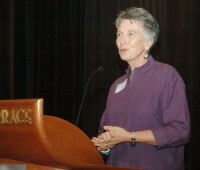 Caryl is former director of the Sierra Club Foundation, John Muir Chapter. One of the fantastic things about CSW is getting to know people in other nonprofits who are working on parallel campaigns. CSW provides a table where we can network, do campaign planning, or help each other build campaigns. We get a chance to talk about a common problem, dig down to find the root cause, and then talk about solutions. Victoria is a former intern—first at CSW, then at the Center for Change. Despite a busy full-time job, she continues to volunteer for us. CSW is important to me because it allows us to collectively make an impact on the community’s social issues. Its continued success is largely due to the compassion and concern of involved citizens, who continue to invest in today’s critical issues. My internship with CSW allowed me immense personal and professional growth. And my involvement with advocacy-based nonprofits has given me a strong base from which I can build my career in the public sphere. As the Center for Change continues to grow, I see it becoming a hub for students with a variety of interests, all of whom can become immersed in the Madison community in unique ways. In one place, we have multiple outlets to collaboratively work toward social change. As an advocate for women’s health, I am grateful for the resilient support that CSW provides for issues that many foundations turn their backs on. Percy has transitioned from being a workplace donor to being a direct donor. I have been a long-time donor because I appreciate the range of issues in Community Shares of Wisconsin—justice, social change, and protecting our environment. In some ways my support stems from self-interest. Donors like me not only like the nonprofits’ work, we also depend on it. For example, I think about how hard the environmental groups have been working, in the face of recent legislation. The events of the past 18 or 20 months are a good indicator for why we need progressive change that protects the vulnerable among us, and protects our environment for the good of everyone. As a workplace donor I regularly saw the long lists of nonprofits needing help, and I appreciate the work done by other umbrella organizations—for instance, those working on international aid. But CSW nonprofits are local, and they do essential work. It’s hard to beat that. 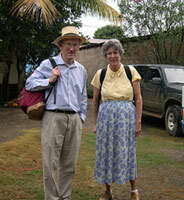 As a retiree I moved from giving through my workplace to giving directly to CSW. Much has been given to me, and I want to keep giving back. We have to take care of our local nonprofits. We need to nurture them, so they can continue their good work. We began supporting CSW shortly after we moved here from California in 2008. We began getting connected to different nonprofits and then realized that most of them that appealed to us were members of CSW. CSW seems to us like a one-stop shop. Instead of making 10 payments to 10 different organizations, it’s convenient to make one payment. We also like the infrastructure that CSW has in place to support its member groups. Giving through CSW is the way we like to support the greater Madison community. We believe that it’s the CSW member groups that will ultimately make life better for our daughter, Ruth. How do you want to create change through Community Shares of Wisconsin? Hear from Denise Matyka about why she has been a supporter for nearly 30 years. Comments from Ryan Kelley, Appraisal Specialist at the State Bank of Cross Plains. I’m so grateful that Community Shares of Wisconsin [CSW] exists. The organizations that are part of CSW align with my values: economic equality, housing issues, and equal rights. So naturally I support the CSW groups. When I got into banking I felt it was important to make a difference in the community—and of course as a community bank we do just that. But it’s important to give personally too. I have a young family and am very involved with my condo board, so I don’t have a lot of time to give. Making a donation is the way that I can show support. A few years ago I made a goal to donate $15 per month to causes I support. I think it lasted about four months before the wheels fell off that plan. With workplace giving, it’s so much easier! Giving through my workplace campaign is now just automatic to me. And if I can, I increase my giving a little more each year. We give to Community Shares because of their high ethical standards and their unwavering commitment. They’re especially committed to needy people and causes that might otherwise be overlooked by other charities and community programs. Heather is Corporate Portal & Training Administrator at Summit Credit Union. I give to Community Shares because I feel fortunate, and I see it as my responsibility to help others. It’s just the right thing to do. I’ve also grown up seeing that, since my parents have always donated to charities. For me there’s a psychological benefit too. You know you’re making a difference for someone. It not only helps that person, it helps the whole community. One reason I like workplace giving is that it’s so easy to do. I don’t need to take action each month, which I could easily forget to do. The donation comes out of my paycheck automatically, and I don’t notice the difference. I also like that it doesn’t have to be a big donation. Every small gift matters. Ted Haglund, MD, of Group Health Cooperative, on why he chooses to give to Community Shares of Wisconsin (CSW). To me, the benefit of giving to CSW is that these are the nonprofit groups that hold our community together, and make it stronger. I’m happy CSW and its member groups are out there doing this work. They indeed provide a real service. Workplace giving is, for me, a good way to give—you can make your choices for the year and then put it out of your mind. I often find that supporting CSW as a whole is easier than giving to specific groups. I also know that CSW is an organization without excessive overhead or administrative costs. Yet I like the idea that CSW lets me choose: I can give to the general fund to support all the groups, or I can pick out individual groups—say certain environmental groups—to receive my gift. Plus all of these nonprofit groups are local, and I personally believe in their work. Scott Haumersen is Managing Partner at Wegner LLP. I appreciate that when donors direct money to your member nonprofits, you give 100% of directed gifts to those nonprofits. However personally I support the concept of giving more broadly to Community Shares of Wisconsin [CSW]. That general gift supports all of the members. Moreover, I believe in the concept of umbrella fundraising, so I want to support the capacity of CSW. I want to see you continue your work on behalf of all of your member groups. Tom Kuplic, a brand strategist at ETO Consulting, volunteers his time to do in-depth brand storytelling trainings with CSW member groups. Tom’s branding work is focused on nonprofits. The work Community Shares of Wisconsin [CSW] does is essential to building strong, smart nonprofits. The passion of CSW’s nonprofit partners results in truly innovative programs. And the staff at CSW has incredible experience and knowledge so they can help guide the passion of their member groups. To me that’s what makes CSW and their partner organizations unique. People with a passion for a cause—plus the knowledge and freedom to create innovative programs—are able make social change happen. Pete, Anna, and son Ethan are supporters of Community Shares, primarily through CHIP. Giving back to our community via CHIP is about as easy as it gets. What seems like a small amount of giving each time we shop, really does add up in the end. We really like that our money helps many different and diverse causes, and we are thankful that we have Community Shares in our community. 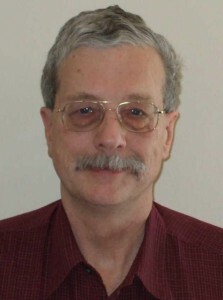 Brian Juchems is Program Director with Gay Straight Alliance for Safe Schools, a CSW member group. CSW works for justice to improve the lives of many people, including those in the lesbian, gay, bisexual, and transgender (LGBT) community. LGBT young people, along with their straight allies, expect the places where they work, learn, and play to be safe and inclusive spaces. The GSA movement has helped build a generation of students who won’t tolerate discrimination and think the equal treatment of LGBT people is not only the fair but also the normal thing to do. The greater appreciation and nurturance we see from so many young people is a change from what LGBT people experienced decades ago, and it’s really encouraging. All of us, young and not-as-young alike, don’t always realize or tend to forget the routine hostility, isolation, and shame previous generations had to face. Yvette Jones, Board Member with Dane Buy Local, is glad that her organization is partnering with CSW. Although this is the second year of our formal partnership, Dane Buy Local members and Community Shares have worked in concert for years. Independent businesses are passionate about their communities—so it is not surprising that local nonprofits get so much support from locally owned businesses. Our member businesses provide leadership, volunteer time, and financial gifts to nonprofits. And we value the role Community Shares plays in expanding our opportunities to give. Hooray for workplace giving, CHIP, and all the connections that CSW forges in our communities! 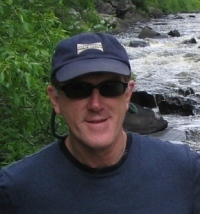 Denny Caneff is Director of River Alliance of Wisconsin, a CSW member group, which was established in 1993. What environmental progress has been made in the past few decades? In the past 30 or 40 years Wisconsin’s waters are in a much better condition. The air quality is much improved. We have significantly more land that’s accessible to the public. As a result, we all enjoy more outdoor activities, but more important is that public health is less threatened by pollution. And all of those gains have been made with the leadership of Wisconsin’s environmental groups—and with essential input from local voices. What does support from CSW represent? The core concept is pretty simple: everybody breathes, everybody drinks water, everybody gets from place to place in some way. And all of those essential daily activities link back to the environment. Our supporters know that a healthy environment is critical to our daily lives. That’s why so many people are willing to give to environmental advocacy. All of the donations we receive through Community Shares are a vote of confidence that our work is important to countless people. Jane Sadusky has moved from being a workplace donor to being a sustaining donor through electronic funds transfer (EFT). In 1999, I left a job with the state of Wisconsin and started my own business. One of the first things on my to-do list was to continue my contribution to Community Shares. I’d been making a monthly contribution through workplace giving and I wanted to make sure that my support for CSW continued. It’s easy! I set up an EFT through my checking account. It allows me to give regularly while also saving time for me. I am a huge fan of CSW. As someone who’s tried to figure out how can I make a difference, I once sat down and made a list of every cause and issue that was important to me, and I could have given up right there because it was so overwhelming. I can’t pay the same attention and time to everything. But giving to Community Shares is a way to cover all that ground since your gift supports social justice, economic justice, and environmental justice. Community Shares is at the heart of community change. Whether you’re a new or long-time donor to CSW, you may want to consider a donation today. D eb Percival-Grever was a staff person for Madison Tenants Union, an original CSW group in 1971. That group has since evolved into Tenant Resource Center, also a CSW member. Deb is currently on the board of Tenant Resource Center. Forty years ago renters had little voice in their housing situation. Landlords in large complexes could ignore repairs, not refund security deposits, and ignore safety requests. We were able to help get laws passed to help ensure tenants’ safety — requiring smoke detectors and locks on windows — and ensure their basic rights by organizing tenant unions. Now Tenant Resource Center does so much work to help both tenants and landlords know their rights and responsibilities. They also do 600-700 mediations annually, which helps resolve conflicts before a tenant is threatened with eviction. It also helps reduce homelessness here in Dane County. The importance of CSW, earlier called Madison Sustaining Fund, was critical to fund our work at the Tenants Union. And it still is critical for Tenant Resource Center. CSW has always funded grassroots nonprofits that other funders would not: the groups that organize and empower others to speak up and work for change. I am eternally grateful to CSW for the help they have given us. I first became involved with CSW as a work-study student during graduate school. I was active with Community Action on Latin America (CALA), which was and still is a CSW member group. The fundraising support provided by CSW is especially critical to the operations of a small, volunteer-based nonprofit like CALA. I appreciate CSW for its efficiency and ease of use for donors like me who contribute through workplace giving. Because I was a board member for a number of years, I know what a rigorous vetting process groups undergo to become CSW members, and to be eligible for the workplace campaigns. That financial oversight is a real benefit to donors. I feel confident about where my money is going when I contribute to CSW and its member groups. As a student employee, I observed the sound business practices and high ethical standards to which CSW holds itself accountable. I know from experience that Community Shares is a trustworthy steward of the donations it receives. Rosie Putman chooses to give a general gift through her workplace, Wisconsin Energy Conservation Corp (WECC). I heard about CSW for the first time during our workplace giving campaign. It’s extremely difficult for me to pick just one great organization to give to — all of them are valuable, well-run, and important to the people who need the services. That’s why my personal donation was given as a general gift — for CSW to support all of its member groups. I feel great about donating to organizations such as CSW, especially in this tough economy when there is so much need. Once I heard how great the needs were in our community, I felt a responsibility to help out. So did many, many of our staff members here at WECC! I’ve become familiar with Community Shares through my workplace, UW Credit Union. Once I got to know what CSW was all about and which nonprofits are members, I was sold. The Community Shares nonprofits always share such impressive stories about the positive changes they bring to people’s lives. Sometimes when you make a donation you don’t feel like you’ve done much. But when you start connecting the dots, you see that every bit of your donation is going right back into your community. When I donate my money or my time, I know that in some way I’m directly involved in this process of creating positive change. Tracy Stewart (shown at right with her children) gives financial gifts, and for years she also donated her time as member of the Board, serving as one of our Community Representatives. What’s your philosophy on giving? “What you give comes back to you 100-fold.” That’s what my grandmother, Mary Pickford Rogers, used to say about donating either time or money, and it’s still one of the reasons I give to nonprofits today. I look back on so many things — people who’ve helped me and given me their time, or people who’ve helped my friends or family. My work with CSW is one way I repay that generosity. Why give to CSW in particular? CSW’s commitment to social justice nonprofits and advocacy nonprofits is really important. Many people like to give to direct-service organizations. But advocacy and social justice work is also critical since it focuses on the larger picture. By helping to change the framework, these groups can prevent social problems from occurring. My belief is that as advocacy and social justice work addresses the root causes of today’s serious social ills, we may someday see that direct-service groups have an opportunity to change their focus. I know that CSW is a good steward of the funds it receives. And I’ve seen how Community Shares’ nonprofits and volunteers make a difference in both small and significant ways. After all, we make progress one positive change at a time! Kate Zurlo-Cuva shared her thoughts on two ways to give: directing gifts to our member groups and making a general donation to CSW. What types of CSW member groups do you support? Through workplace giving, I donate to a number of environmental groups. I feel that these groups are helping to create a better world for the next generation. I’ve also devoted my career to environmental work. I give to Community Shares’ LGBT (lesbian, gay, bisexual, and transgender) groups as well. I truly feel that we need to address the issue of safety and equality for all people in our communities. And you give to Community Shares overall — why is that? I think CSW has a noble mission, not only to support these groups but to pass on 100% of donor-directed gifts to the nonprofits. So I want to support that type of infrastructure. And I like that my general CSW gift is divided up among all of the member groups working on systemic change. What’s your philosophy about giving? I feel dedicated to giving back to my community — it’s simply a responsibility I have as someone who tries to be civic-minded. 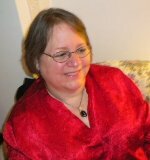 Jan Miyasaki has found a very public way to support CSW member groups: she often features them on her Wednesday 8:00 Buzz program on WORT Community Radio. I know many people who benefit from the work of CSW member nonprofits, so I know how important their missions are to the community. I’m acquainted with many of the people doing the important work at CSW agencies, and I trust and respect them. Highlighting a CSW member group monthly on WORT Community Radio allows me to link their good work with the social change goal of CSW. It means something to me that an agency is a member of CSW. And I think it’s important for our audience to understand how these nonprofits improve people’s lives. It’s also important for me to support groups promoting social justice. 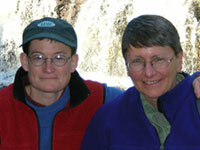 Beth Workmaster (left) and Linda Crubaugh (right) are long-time donors through workplace giving. Linda: I make a general donation to CSW in order to support all of its organizations and the good work they’re doing. In fact I increased my gift this year because of the economy. I’m glad I still have a job, and I wanted to help make up for the people who can’t donate this year, or can’t donate as much. Beth: I direct my donation to CSW groups like OutReach. I appreciate all the CSW nonprofits, but I prefer that my donations have a little larger impact on the groups whose work is especially meaningful to me. I like workplace giving since it allows me to give more over the course of the year. It’s easier on my budget than if I were to write a one-time check. It’s similar to what we do at Willy Street Co-op, making a donation to CHIP every time we shop. Linda: Our philosophy is pretty simple: we believe that giving to Community Shares’ nonprofits is simply the right thing to do. Beth: Right. While I’m not wealthy I have a steady job, and I like what these nonprofits do for our community. So it’s important to contribute what I can. 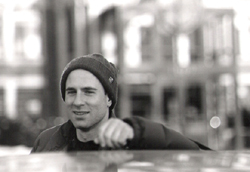 Ben Seigel transitioned from donating through his former employer to making recurring gifts on CSW’s website. Ben, a principal at Versa Studio, talked about the importance of online giving – especially for those who don’t give through their workplace. Why continue to support CSW? It had been easy through workplace giving at my former job. Once I got my business up and going, I wanted to continue to support the nonprofits that are important to me. Regular, recurring online gifts seemed like a great idea. It’s very easy. And it’s a similar approach to workplace giving — you of course start by budgeting for it. Once you select the “recurring gift” option on the donation page, your donations are made automatically. The tax advantage is likely the same for most of us whether we give as an employee through workplace giving, or as a business owner through online donations. And I like the idea that I’m giving consistently. What is your philosophy about giving? I believe that we’re all in this together, we all have a responsibility to each other. That’s what drives my giving. Whether I’m an employee or a business owner, my attitude about charitable giving is the same. So why not give the same, regardless? Candace Weber was one of the founding volunteers of Madison Sustaining Fund (the predecessor to Community Shares of Wisconsin or CSW) in 1971. 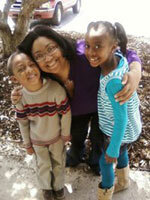 Except for brief periods when living out of state, she’s been involved with CSW ever since. You’ve donated countless hours over the years to CSW. Why make financial donations too? I see how much Community Shares benefits the rest of the social justice and social change community. When giving funds to its member nonprofits, Community Shares doesn’t tie the funds to any particular project or philosophy. Instead, it performs an essential function: helping donors direct money to the nonprofits of their choice. So when you direct money specifically to one or more of its member groups, they receive 100% of your donation. What are your views about philanthropy? Small amounts of money can have a huge impact. People might wonder if their $20 or $50 can make a difference. It does. Especially when it’s accompanied by thousands of other people making similar contributions. I also encourage young people to not only become familiar with nonprofits, but to make small donations. You’ll begin small, but your giving — and your impact — will increase over time. For people in their 20s or 30s doing advocacy, I would encourage you to think about social philanthropy as a key part of advocacy work. Community Shares itself illustrates why: by coming together as a community to support social change nonprofits, our impact can be significant. Linda Linssen recently shared her thoughts about giving and nonprofits. What motivates you to give to CSW? Giving to Community Shares is a no-brainer. Its member organizations are doing vital work that reflects my values. They make the place I live one that prioritizes environmental and social responsibility. I’d be a fool to take those organizations for granted. I salute Community Shares for managing the process of raising and distributing funds. Undoubtedly, that allows its member organizations to focus on their missions. And it allows people like me to donate to one source and benefit many. It’s simple and efficient. I believe that when everyone gives — whatever and however they can — everyone benefits. The more seeds planted, the more bountiful the harvest. Since you donate your time, why do you go the extra step to donate financially too? As our national leaders have made abundantly clear, we need all hands on deck to help get the economy moving. Until it does, the higher unemployment rate means nonprofit organizations have fewer financial supporters than ever. I feel that’s my cue to step up to the plate and do what I can, for as long as I can. Also, as a “green writer,” I see lots of businesses and organizations doing the right thing — they’re budgeting time and money toward becoming truly sustainable. If I want to work for people who “walk the talk,” I’d better be doing the same. What do you receive when you give to a nonprofit? I get the satisfaction of knowing that I did the right thing. Nonprofits need money, or they can’t keep their doors open and continue their work. If they’re understaffed, they also need volunteers to pitch in and get the work done. I like helping people whose hearts are in the right place and who appreciate the support. Robert Lewin recently shared his thoughts about planned giving and nonprofits. Why include nonprofits in your planned giving? If an organization is worth giving to during your lifetime, it is also worth including in your will. To me, it’s making a statement: This group will do good things long after I am gone. Why did you decide to include Community Shares in particular? Community Shares of Wisconsin efficiently pools money from people like me, and gets it to a whole spectrum of worthy groups. I trust CSW’s ability to select truly deserving groups. I don’t have the time or inclination of screening dozens of organizations myself. I leave that to Community Shares. Would you have any comments for people thinking about planned giving? When you sit down with counsel to write or update your will, or if you list beneficiaries on a life insurance policy, it’s simple to add Community Shares. Procrastination is the enemy. I would encourage readers to consider leaving something to CSW, and then put it in place now. Intending to do it, and then letting it slip, is a missed opportunity. One more thing: I suggest letting CSW know of your decision. Art and Sue Lloyd have been long-time donors to Community Shares. Art was also a long-time board member. Why do you support CSW? CSW is an organization that is committed to social change on many fronts, and we value the variety of its member nonprofits. There are organizations in Madison that support primarily safe, noncontroversial service kinds of projects — and that is certainly needed. But we support CSW because it goes beyond that service orientation to help create grassroots social change. For us it’s one-stop shopping as well, since we can direct our gifts to specific CSW member groups. So giving through Community Shares is also a convenience for us. Mitch, who has been in the industry since 1971, has worked mostly in independent stores. His business philanthropy extends back as far as his entry into the grocery business. To give a recent example of his commitments to his community: during the holiday season he delivers a Capitol Centre gift card to all of the more than 200 residents living in the senior center next door to the store. Why is it important to you, as a business owner, to make charitable gifts? As store owner I hope to set an example so that the young people who work here will make good choices about giving and sharing in the years ahead. I also hope they realize the importance of being active and involved in whatever community they are a part of. I feel that Community Shares is a good match for those of us who work at the store as well as those who shop at our store. When you look at all of the organizations that benefit from our help, you can’t help but feel good about being a part of the effort. It’s also helpful that our efforts can raise public awareness about Community Shares. How does your giving impact you? We see a benefit in being a part of something bigger than our grocery store. When everybody gives a little, great things can happen. David Montgomery, owner of Independent Insurance Services in Madison, described how social justice has been a lifelong priority for him. How did you become interested in these issues? I give a lot of credit to my parents for opening my eyes to parts of our society that needed changing. Though I was very small, I remember watching the McCarthy hearings with my mother. She also had me watch the police response to Martin Luther King’s marches in Birmingham and Montgomery. The fire hoses and police dogs . . . it all made a strong impression on me. That’s why I support organizations that work for social change. So social change philanthropy is a priority for you? It is. I just know how important it is that organizations like Community Shares are doing the work they’re doing. By making a contribution to CSW, I am supporting the social change work of all of your nonprofits. It’s also helping empower those who need that help right now, but who will in time go on to make their own contributions to our society. It’s so important to take responsibility for being a good neighbor to others in our community. It stems in part from my belief that for all of our differences, we share a sense of oneness — oneness of God, oneness of religion, oneness of humanity. That’s yet another reason why I am particularly concerned about growing extremes of wealth and poverty in this country. Anything that I can do to help give economic and social opportunity to people who have fewer resources — that’s key for me. Does your philanthropy affect you personally in any way? It’s not something you often think about, but yes it helps me feel a greater connection to our community. It also makes me more connected to the work that your nonprofits are doing.